Rick Ross forever looms over the state. While Yung Renzel has been quiet since his last album Rather You Than Me, the rapper is currently working on his follow-up, Port of Miami 2: Born To Kill, which is due out later this year. It seems likely that Ross is eager to put on for his hometown, and his new single “Florida Boy” is a testament to that fact. 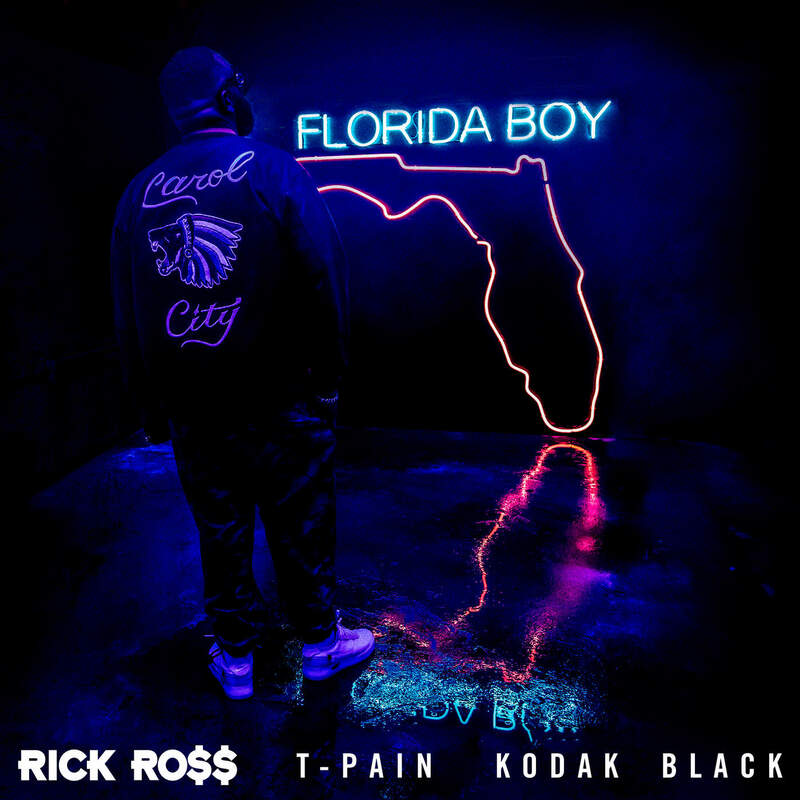 Not only that, but Rozay has enlisted the help of his fellow Floridians from disparate generations, T-Pain and Kodak Black. Unfortunately, the single is currently only available in select international markets, which means many of ya’ll have probably already heard this through some more illicit channels. The song drops worldwide at midnight, and it’s a promising sign of things to come from Ross. You’ve gotta hand it to him – the man has found new ways to keep it entertaining, even nine studio albums.